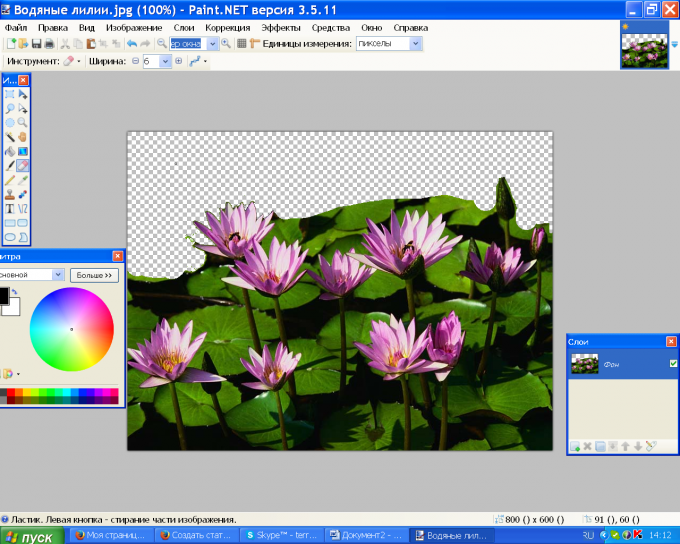 Microsoft Office PowerPoint has four types of animations - entrance, separation, exit, and custom motion path, they can be added to individual slides or layouts. 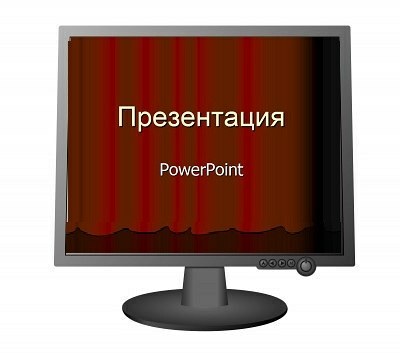 PowerPoint also allows users to add to the presentation audio as well as import and edit the video. Create an input animation. Select the tab "Animation". On screen preview of the presentation click on the object you want to animate. Right-click your mouse on the down arrow (located in the upper right corner of the tab). You can select the input animation in the form of disappearance of the object, flight, shape change, wheels, zoom, rotation, etc. Click the animation effect that will allow you to emphasize the object or its shape at the entrance. For example, if you click on the desired image on the screen and select the animation fade, the picture will appear gradually, becoming darker and brighter than the surrounding background. Make the output animation. You can use options such as pulse, kaleidoscope, swing, discoloration, darkening and lightening. Select the object on the slide, click "Add animation"and then click on "effect Options". Hover over each option to determine which fits best, then select it. You have now created an animationthat affects how the object will leave the slide. Try to choose animations arbitrary path object. A certain trajectory of movement makes the image or text on the PowerPoint screen to move in a straight line, a circle or curved path. Draw a track or select a ready-made. Go to the Insert tab at the top of the screen, click the automatic trajectory. Click the line icon to draw on the screen own trajectory. Right-click the mouse on the object and select "custom animation". Select the movement speed, the time intervals, which will be animation, and sound if necessary. Press F5 button on the keyboard and test the newly created animation. To Express and prove their point of view on business negotiations much easier with the help of presentation. It will demonstrate the positive side of the work, will help to place accents and to graphically display the effectiveness of actions. But the presentation in PowerPoint does not look too boring, you can diversify by using animation. Turn on the program. This can be done in one of two ways: either click on an empty spot of the desktop, right-click, from the pop-up signs, select "Create", it is "Microsoft PowerPoint Presentation". Or click the "start" button, go to all programs - Microsoft Office and in that submenu, select PowerPoint. You receive the PowerPoint, which will create a presentation. Create a few slides. You can use to create the finished layouts, or do anything according to your taste. Enter the desired text, add pictures and information. The stuffing is ready, it is necessary to revive it. Animation slides. To select, how will appear in the pages of the presentation, click the right mouse button on empty space on the page and select "slide transitions". Check the "automatically after" if you want the slides were followed after a certain time, not on click. Specify the time in the appropriate box, you can change the sound and speed of the slideshow. Just above, you can choose effect for slide change: shutters, checkers, rush, dissolution. If you put in the bottom right corner check the "autopreview", you can immediately see how it will look in the change of slides in the final presentation. Animate text and images. You can now add animation to the text to appear gradually or suddenly flew from the edge of the page. To do this, highlight the text, click the right mouse button and select "custom animation". In the upper right corner, click on the active button "add effect", in which you can paint the detail of the movement of the text as it will appear, will disappear, as will move across the screen. For this animation, you can also adjust the speed and method of shift – click or after the specified time. In the standard settings programmed in such a way that the change effects each other happens at the click of a mouse, but you can configure the automatic change after a certain time. Evaluate the results. When the animation in the presentation will be placed, you can see how it looks. Click "slide Show" and appreciate the end result. Do not "overload" the presentation of the animation, so as not to distract viewers from the main ideas. 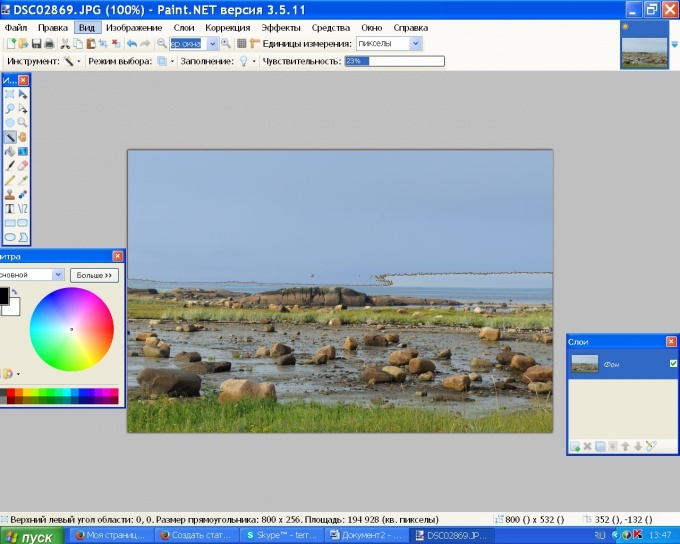 By free graphics editor Paint.net you can create collages, process images and cut out objects from pictures. To remove the background image in different ways. 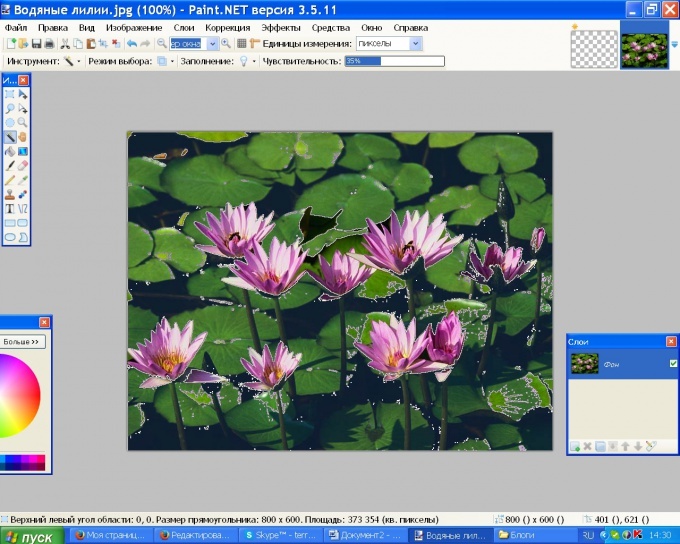 Start Paint.net. In the menu "File" click "Open" and specify the path to the image. If you chose a picture with a uniform background, it is convenient to use the "Magic wand". Click the folder icon on the toolbar or press S on the keyboard. In the properties pane, specify the sensitivity of the sticks. The higher the sensitivity, the lower the selectivity of this instrument. I.e., with sensitivity of 100%, you select the whole picture with small details. With sensitivity of 5% will be allocated to a very small area. Select the appropriate value for this parameter and click the background. A portion of the image will be outlined with a dotted line. Click Delete to Delete the selected area. The background will be transparent. Click the plot of a different shade that you want to remove, and hit Delete again. You can do otherwise. In the properties panel, open the list "select Mode" and tick the "Add (Union)". In turn, click the mouse on the fragments of the image that you want to delete, then click Delete - the selected plots will be removed immediately. If the background is colorful, you can use the Eraser tool. Click the appropriate icon on the toolbar or press the letter E on the keyboard. In the properties panel, specify the diameter of the eraser. If you want to feather the border erase, choose "Smoothing" are allowed in the list to the right of the window "Width". Remove the background eraser, if necessary, changing the width of the tool. To remove small fragments use the "Magic wand". If you want to create your own pattern on a transparent background in menu "File" choose "save" and double-click on the layer "Background" in the layers panel. In the new window uncheck the box next to "Visible". Save drawings with a transparent background is needed in png, gif, or pdn. In jpg/jpeg format transparent background looks like white.